It’s hard to talk about my favorite spots on the mountain because there are so many. It comes down to the specific day’s conditions. 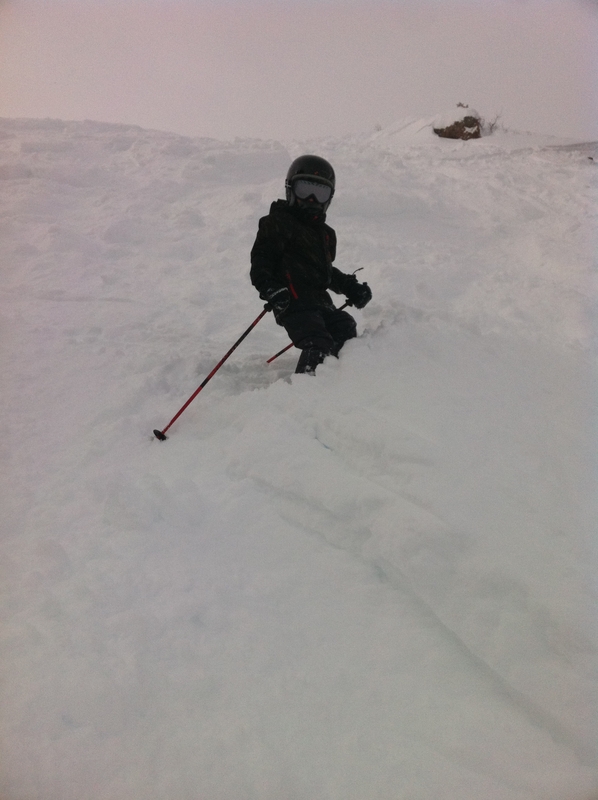 Each area has its advantages depending on if it is sunny, snowing, flat light or powder! I usually assess the weather and whoever I am skiing with and then I decide my skiing route from there. If it is a bluebird day and the new snow has been skied out (hard to find lately considering we have so much snow) Bald Mountain is the spot, hands down. 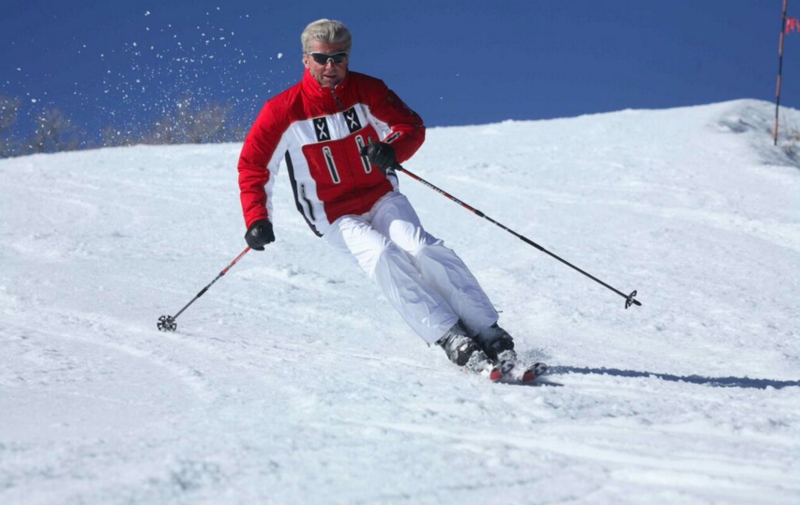 I usually start out on Nabob and then ski all the groomers. 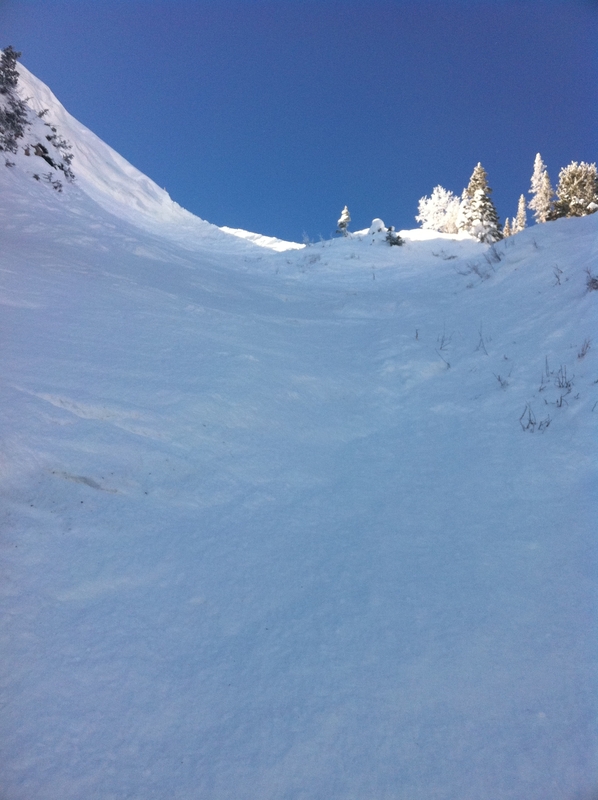 These runs are the best for strong steep intermediates. After Nabob I usually go to Keno, then Legal Tender, Wizard, Tycoon and Reward (if it is groomed). When all these runs are groomed it is the closest thing to the feeling of being in a world cup race. I call this “Ego Snow”. When I ski Bald Eagle Mountain, I love to ski Big Stick. This run is a classic GS trail. Starts off rolling, drops into a great steep section then at the bottom you better hold on because you’re going to have tired legs when you hit the compression. Another fun run is Solid Muldoon. 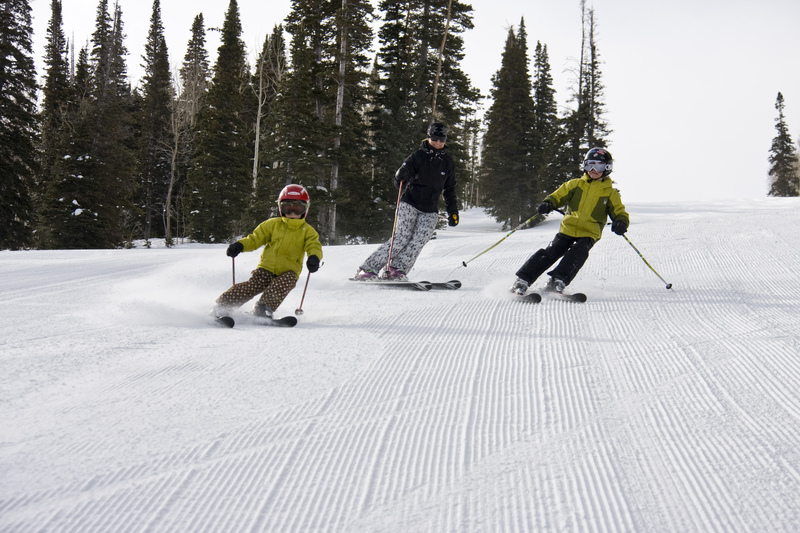 This follows the Carpenter Express lift line so you must be ready to show off your best skiing. A must do is Success to Last Chance. This route will take you past some of the private homes of Bald Eagle. Many of these homes are elaborately decorated and have earned nicknames such as “the bear house”, the “raccoon roost” and the “tree house”. On Deer Crest, I would say Jordanelle ski run is my favorite. It’s a mile long with a vista you must see to believe. Usually when I have friends visiting this was their favorite run to rip down. I think it helps bring back the memory of their downhill days! When it’s snowing with flat light, I try to ski in the trees for some depth perception. Sometimes that can’t be done depending on the group I am with. If it’s snowing and flat light the best area to ski is off the Northside Express chairlift. This is our most popular area because there is something for any member of the family or ability level. OK…now to the big stuff! After a storm or if it’s snowing and accumulating a lot during the day I usually ski off piste all day. I love it when people say there are only groomers at Deer Valley. I have had two groups mentioned this to me and that’s the easiest way to find out that I love a challenge. Usually, after I prove them wrong, they are asking me to stop by 2 p.m.! I usually rush right over to Empire. However, if the snow safety is not yet completed I start in Mayflower and work my way to Empire. Let’s start at Empire – My first hit is the Lady Morgan Bowl fall line. Most of the time this is so good it requires another run. For my third run, I head to the Daly Chutes! I lap Daily Chute a couple times and then to Chutes 7-10 before hitting the X-Files (Don’t know how to find the elusive X-Files? See the previous blog post from JF Lanvers). Once I have thoroughly covered Empire I push on to Ontario Bowl. I either hike in from Ontario ski run or take the traverse from Hidden Treasure. Ontario Bowl always has a funny way of pulling the “YEE HAWS! !” out of me. The same as Lady Morgan Bowl, Ontario also requires a few passes. Sometimes I have found myself Ontario Bowl all day and only forced to leave when my legs say quit. I find that most skiers follow this same route and head to Empire first after a big storm. So by the time you get back to Bald Mountain and hit Mayflower Bowl, Triangle Trees, Sultan Trees and Sunset Trees there are still many great lines! Then there are my favorite spots for skiing with the kids. They usually take the lead and it’s directly to Bucky’s Backyard and jump and Ruby’s Roost. They would stay here all day if I let them. These runs are off of Bandana and are very bumpy and rolly and of course, that is why they like them. Another favorite for kids is Oompa Loompa Land, this is an opened glade and makes the children feel as if they are skiing some big terrain. 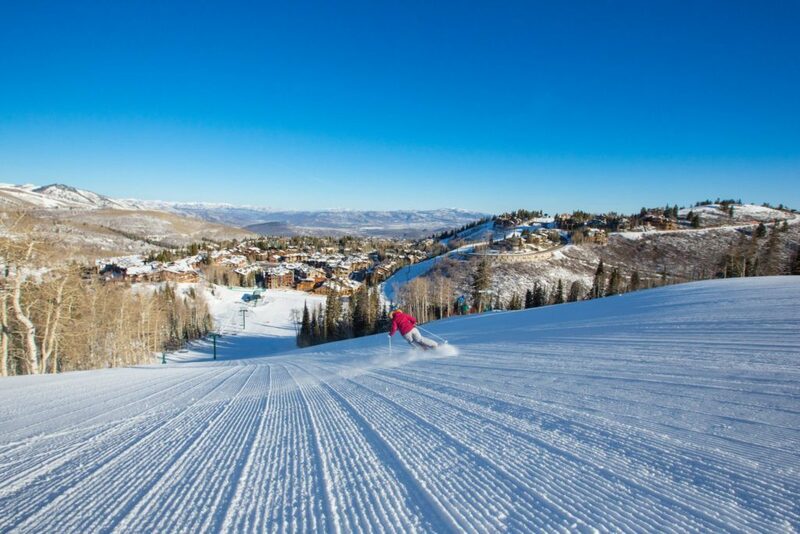 The above is just my opinion in how to ski Deer Valley. I don’t really have a favorite spot because the entire mountain makes me happy! But I hope you have fun exploring my suggestion ski patterns on any given day. See you on the slopes. More snow to come on Sunday and Monday, says the weatherman — stay tuned! I came across your blog after searching for more info on the “Bear House” on the Last Chance Run. Thanks for the blog. 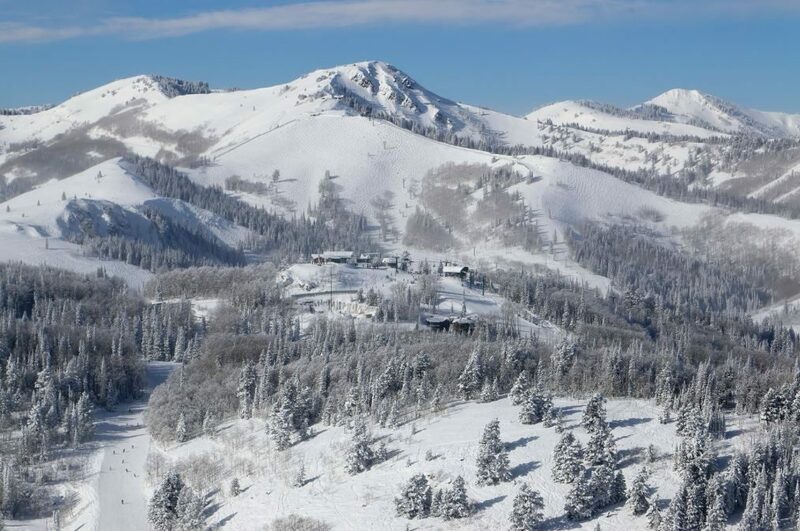 I just returned from Deer Valley and I really love it there. It’s a beautiful area! !